Huge urethane casters steamroll over cracks, cords and more! 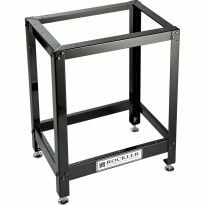 With a rugged 800-pound load capacity, kick-action wheel locks, and an expandable steel frame, this heavy-duty base will transform almost any stationary tool into the ultimate portable workstation. 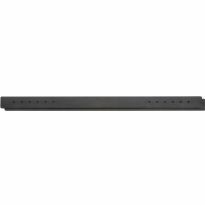 The base itself adjusts from 18" x 18" to 28" x 28"
Extension Set A (#28774, sold separately) includes a pair of longer stretchers that replace two of the four existing stretchers and extend the base-length to anywhere from 26" to 36"
Extension Set B (#28834, sold separately) includes four stretchers, which combine with the included base stretchers to increase the overall base length to anywhere from 36" to 50"
For even more range, use two extension sets! Two Set A's will extend the frame up to 36" x 36". Two Set B's will reach up to 50" x 50"
does what it is made for better than expected.It's worth every penny! Great product, well made! I ended up making some corner pads of 3/4" and 1/2" ply to raise the saw high enough in the mobile frame to allow the dust port to clear the side rail. Moving the saw is now effortless. Great product. The purchase of the Rockler caster set was money well spent. This is the second set I have purchased in the last 12 months. I purchased the second set based on how well I liked the first set. I’m using them for my bandsaw and drill press. My shop is small however I live in California and lm lucky enough to have good weather much of the time. During projects I simply roll my large equipment into the driveway which more than doubles my work area. The casters are well built and have served me well. I would not hesitate to buy a 3rd set should I need them. 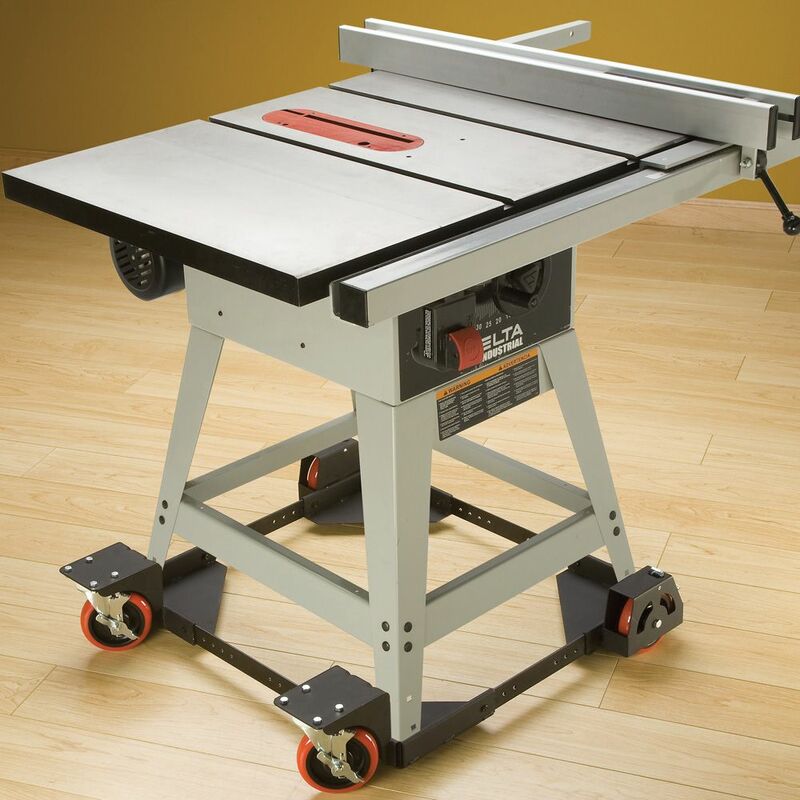 I recently purchased a Sawstop Contractor tablesaw from a cabinet maker who was upgrading to the cabinet version. He had the contractor version on the All-Terrain base, but wouldn't part with it as he was keeping it for the cabinet saw! I really liked how it could roll on uneven floors (his "shop" was his garage, and everything had to roll to make space) and saw it was on sale and got my own. So far it's the best rolling stand I own. Amazing. 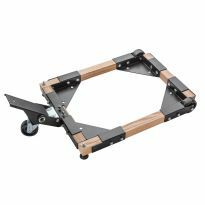 Easy to put together, very sturdy, excellent rolling capability, and 4-wheel locking. Bought this for my Grizzly 17" band saw. It weighs around 500 lb. but I can move it with one finger! It fit perfectly without extensions and is really a timesaver to move out of the way to create more space on my shop floor. I got this to use on my JJP-12HH, weighing in at 600 lbs. The base assembled fairly easily, getting it under the tool was the trick. I assembled half the base (one swivel wheel and one non-swivel wheel), showing it to the base to get the proper distance. Then I tipped the machine forward and slid my assembly under the back, that was the easy part. Then assembled the second half and added the cross stretchers to this half. To get the front of the base up, I used an old dunnage 2x4 to pry the front off the floor about an inch and placed some spacers to hold it there. This let me slide the stretchers on the second half into the first half and get the bolts in. Then pry up again, knock out the spacers and done. Works great, allows me to move the beast with hardly any effort. I will probably get more of these, when I have to move my shop. This one is definitely better than any other mobile base I have used in the past. I am guessing that because of liability issues they could not include instructions on how to get the machine onto the base, so you will have to figure it out for your application. I purchased the base for my Powermatic table saw. The movement is effortless and smooth, provides the right stability during saw operation. It’s a great mobile base. I have one on my bandsaw. One on my drill press and one on bench drum sander. However the drill press needs to be attached to the base. It can be tipped real easy. It’s just great how it rolls over small obstacles. Because of a very favorable experience with a previous purchase of this product, I have purchased another set. The sale price determined my purchase timing. 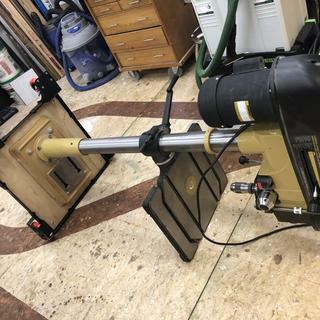 I modified the base somewhat to minimize the footprint as much as possible but otherwise it went together quite easily and performs quite well to make my drill press fully mobile. A wheeled base that makes my table saw truly usable again. This replace a Craftsman wheeled base that had bent out of shape under the weight of my Craftsman table saw. The old base was not able to roll over sawdust or small wood chips. 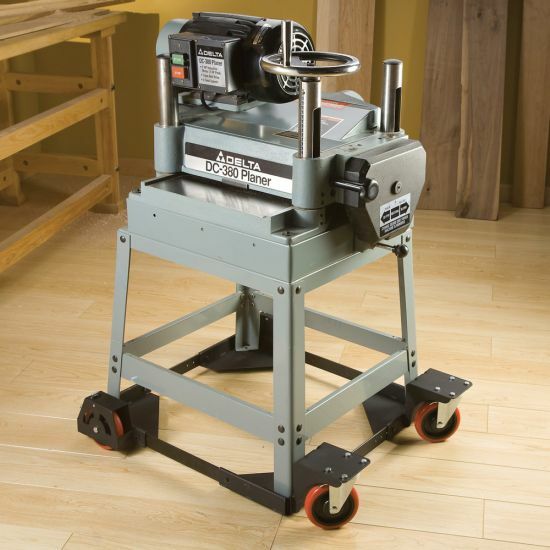 The Rockler base has nice, big wheels that make the whole table easy to move and maneuver. It rolls over small obstacles without hesitation and has easily activated locking brakes on each of the four wheels. This was a great investment for me since I have to move my table saw any time I need to use it. I purchased two of these several years ago, one for my bandsaw and one for my 360 lb drill press, and I couldn’t be more happy. These are fantastic for small shops. 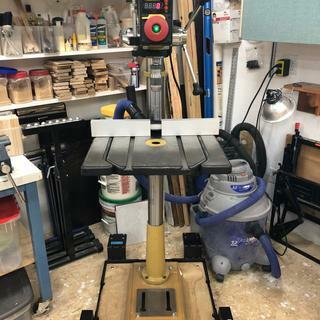 My drill press is huge and heavy, but with the mobile base, I’m able to easily store it against a wall when not in use, and pull it out into the middle of the shop when required. The wide footprint is extra stable, and the large wheels roll freely even across wide stress gaps in the concrete floor... I LOVE’EM! This is a very heavy duty piece of hardware. Large wheels yet the design only raises the tool a little above the floor. Mine came without any instructions but assembly is self explanatory. I recommend this item. Excellent mobile base, works great on my Delta planer. Well made, low profile mobile base. Very stable. I have one on my classic 60s delta table saw and one on my craftsman band saw - they roll great, easy to maneuver, rolls over my rubber floor mats with ease. Our experience started perfectly with a friendly knowledgeable person on the phone who answered my question and placed our order. The All-Terrain Mobile Base arrived right away. We put it together the day it arrived. It works perfectly. Stable, strong, and easy to move on a carpet while under heavy load. Could not be more pleased. Thank you, Rocker! Very strong. Moves very easily. Locks well. Makes moving heavy equipment very easy in my garage. It improved the moving of my Powermatic 15 planer about the shop. After reading lots of reviews started off by buying one during the recent sale.. Received it and was very well satisfied so I ordered two more they are now on my bandsaw drill press and belt sander. Quality is very good be careful not to over torque the bolts I broke one out of all three sets. Good improvement over my other mobile bases. Very well made, heavy duty. Works perfect for my new Nova drill press. Drilled the holes for a custom fit. I would recommend this mobile base to anyone working in a garage like I do. You can move large machines around easily, even my table saw. Stout and heavy duty. Works very well. IF YOU NEED A MOBILE BASE FOR HEAVY MACHINE THAT WILL ROLL WITH ONE FINGER THIS IS THE ONE YOU WANT.THIS IS THE BEST BASE IVE USED. I have a Powermatic Drill press, very top heavy and awkward to move without help. The shop is small hence the desire to move it often. This and a 2'x2' 3/4" plywood base was the solution. 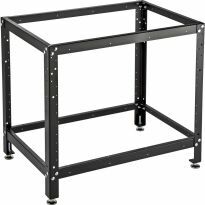 The base makes it easy to move and sturdy enough to hold it stable. Of all my mobile bases, this one is my favorite. I highly recommend it. High quality unit. Easily handles my 26” x 28” Delta base. Great rolling base! Took 25 mins to put the kit together. I can easily move saw with one hand. Will be buying another for my planer. I bought this mobile base for a Jet combination jointer/planner that weighs 500 pounds. My previous mobile base had small wheels and low ground clearance that made it difficult to move the unit around the shop. 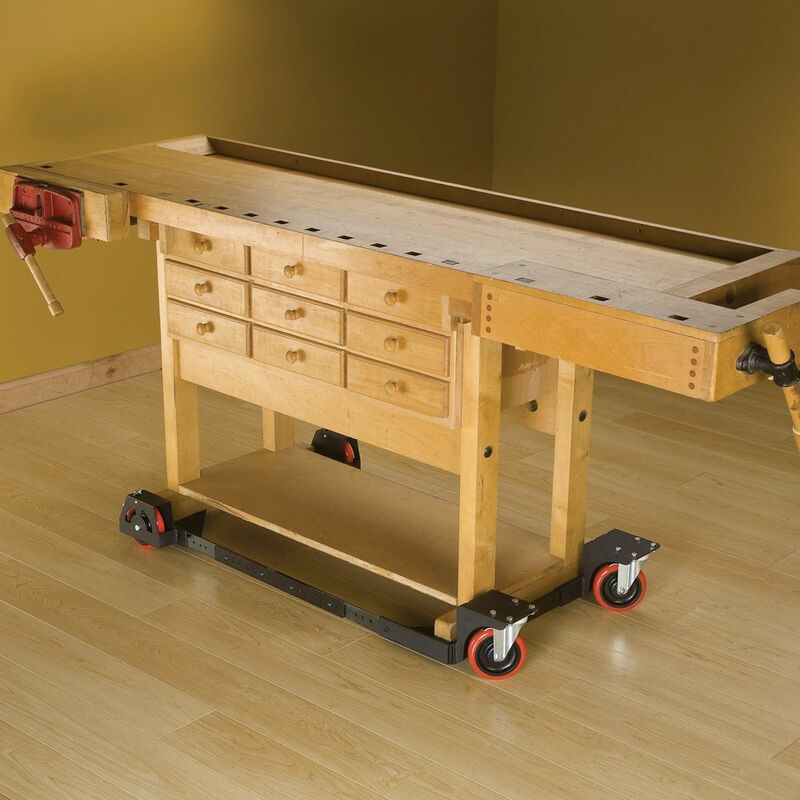 This Rockler base is strong and well designed. The big wheels and one inch ground clearance make movement quite easy. Wish I'd bought it sooner. This is a great little item. Small bolts, but the are long enough and don't get in the way. No instructions, but none are really needed. Rolls my equipment around with a touch and locks solidly in place. Really helps with managing my limited shop (read garage) space. I really am impressed with this base. I put my Grizzly planer on the base and can move it around with one hand! Needed mobility. Moving the table saw is now effortless. Love it. The mobil base works well with my Jet 15 inch planer. Great upgrade. It is not needed, but i would expect directions to come with t he product. I have bought 3 of these & they work very well. 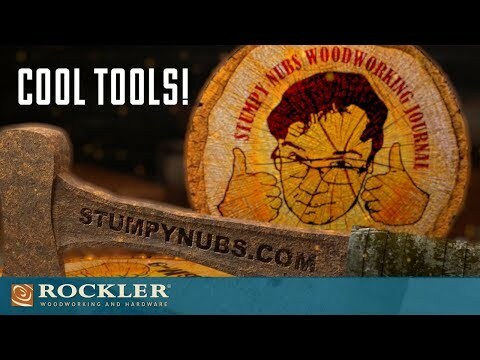 I first purchases a less expensive one (also from Rockler) & was not happy. Then I bought 1 of the & then 2 more. I love this mobile base. I'm using it on an old Delta 10" contractors saw that you can no longer get a factory mobile base for it. It was easy to assemble and I'm amazed at how effortlessly I can now move my saw around. Highly recommend this if you have a small shop that you have to frequently move your tools around. I have a 90's Craftsman table saw which I like but the stand and it's useless retractable wheels have pretty much fallen apart. I paired this with a nice solid 60's table saw stand I found and it's finally movable with ease! I was really impressed with the solid steel manufacturing and the wheels, but on assembling I completely broke two bolts. No, I wasn't tightening them that much! For a somewhat pricey item, to choose the absolutely lowest quality bolts to assemble it is a little sad on Rockler's part. I replaced all of the bolts/nuts with some I had around the shop and I had no problem tightening them up without breaking. Overall I'm glad I made this purchase, but hey Rockler, if you're going to make such a nice product, why be so cheap with the bolts????? After all the casters I've tried under my table saw, I finally found something that fits the bill perfectly. It handles the weight with ease (I don't know precisely what my saw weighs, but it's up there) locks in place firmly, and does indeed traverse all terrains. Like the man said, "If only I had seen this sooner...."
If you want the best mobile base for your heavy equipment then spend the extra money and get the best mobile base on the market. This is an excellent base and rolls very easily with the large wheels. My existing one raises the table saw too high and this lowers it to the right height. The only problem was that Rockler shipped me the wrong product and I had to wait an extra week to get it. I also ordered the extension set which I needed and didn't know it until I started to assemble the base. If you need a base, I highly recommend this one. This is the best mobile base I have ever owned. It rolls better than any other base on the market. Does what it it says it is designed to do. Easy to assemble, rugged, roles on not so perfect concrete floor. Everthing I needed and I did not have to take the time to build something I could actually buy a product that works and does not have to be rebuilt. I have a 6" Jointer on the mobile base at close to 200 lbs. Worth the money. Works great with my 550 lb lathe. Stretchers do not bow. Works well with my Laguna 14BX but had to make some minor adjustments for it to work with this saw. Have the ability to easily move equipment around in my workshop for different setups. My shop is relatively small and sometimes I need all the space possible for projects. The woodworker I purchased his Sawstop Contractor saw from had it on this base, and had high praise for it. He was replacing this Sawstop with a cabinet version. When I saw it was on sale, the decision was made. 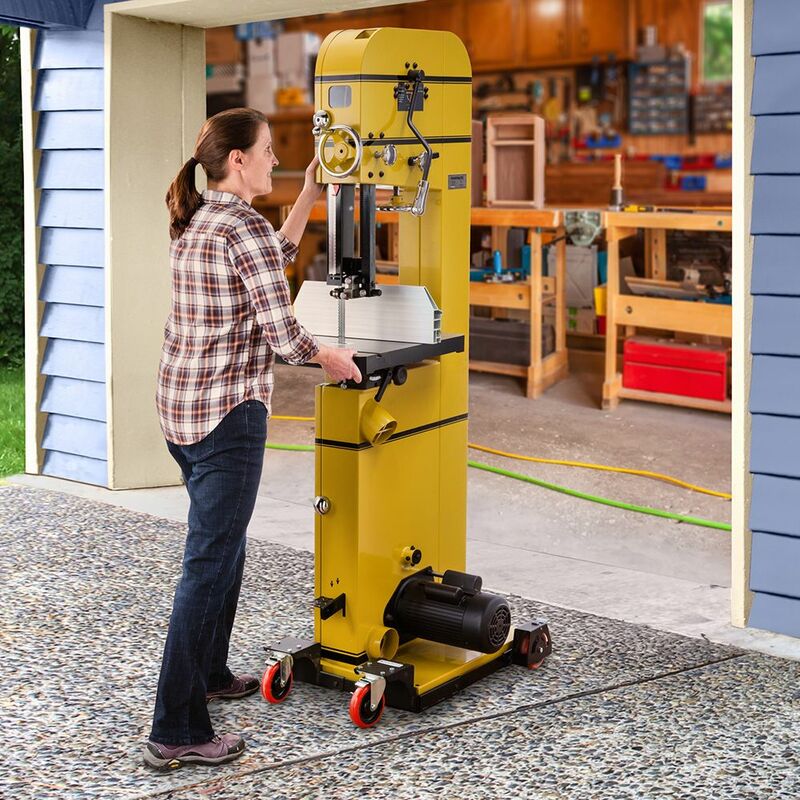 I needed the band saw I just purchased to be mobile and this base had extremely good reviews. This is the real thing for my heavy Hitachi bandsaw! It's strong, has a low profile, and is easy to maneuver. I am building a new wood shop and want to have my lathe be more mobile. The lathe is rectangular in shape and will need to have a longer base so I am also purchasing the Stretcher set A and B in addition to the AT Mobile base to determine which will meet my needs and the dimensions of the lathe base. I already bought one a while back and they are excellent! Looked like the best deal for the money and free shipping ! Need to move my Delta DC-380 Planer around in my shop, needs to be portable now. Hoping this works since mine has different style legs, more like cabinet/sides. Based on other reviewers, and the intended use (Bridgewood 15" planer) matching up with the weight rating. I had a homemade moveable base which is a bit unstable. This looks like a solid, safe, and practical upgrade. My current base which was new 10 years ago with my Delta Unisaw has a broken pivot wheel and I cannot get parts for Delta anymore! Exactly what I was looking for, like the design best of all the others I have looked at. My home made mobile bases with 2" wheels are wearing out. It looks quite sturdy and hopefully it will perform for me as in your promo videos. 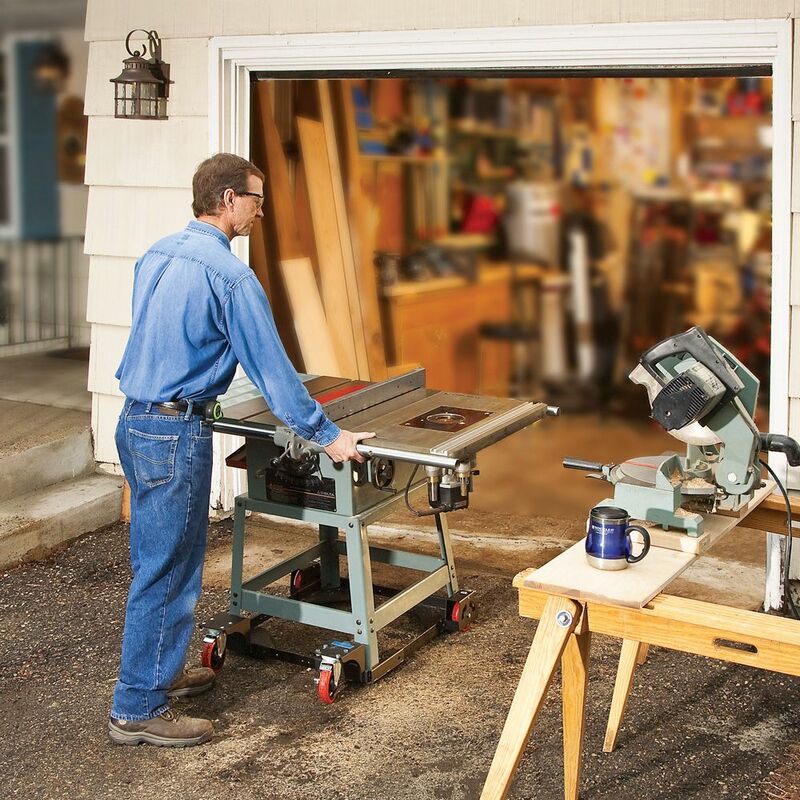 Make it easier to roll my heavy tools around the garage. Because it’s adjustable and holds enough weight for what I need. 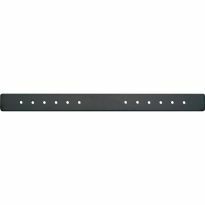 Reviews and recommendation from a store representative. To move a smoker between the garage and patio over 60 ft of deeply stamped concrete sidewalk. I already have one and I love it.It is Well worth the money. It easily runs over anything on my shop floor. This mobile base makes it so easy to move my tools, process larger and longer stock, keep the floor clean for assembly, save my back, aid in clean up, and allow me to have more tools in the same space. My husband tried this device on another piece of equipment and finds it a real backsaver! Wanted to order another for a radial arm saw that is currently on tiny wheels. This is a very sturdy base! To mobilize a full-size drill press with work table.. I liked it's features and capacity and it was on sale! My 18" band saw is very heavy, and I need to be able to move it around in my shop. I ordered on line because it wasn't available in the local store. Weight capacity and the 5" wheels. On advice of my local Rockler staff. The base works great and one can move tools effortlessly. I bought one for my 24" sander and it works well. I needed mobility in a smaller shop footprint. Been a hobby woodworker for 50plus years and have found rockler to have up to date products and excellent service. catalog always next to my easy chair. Will this fit a 3hp Saw Stop Cabinet saw with 52" extension? I f so what is the diff. Between this and the Saw Stop branded caster kit?? Thanks in advance!! 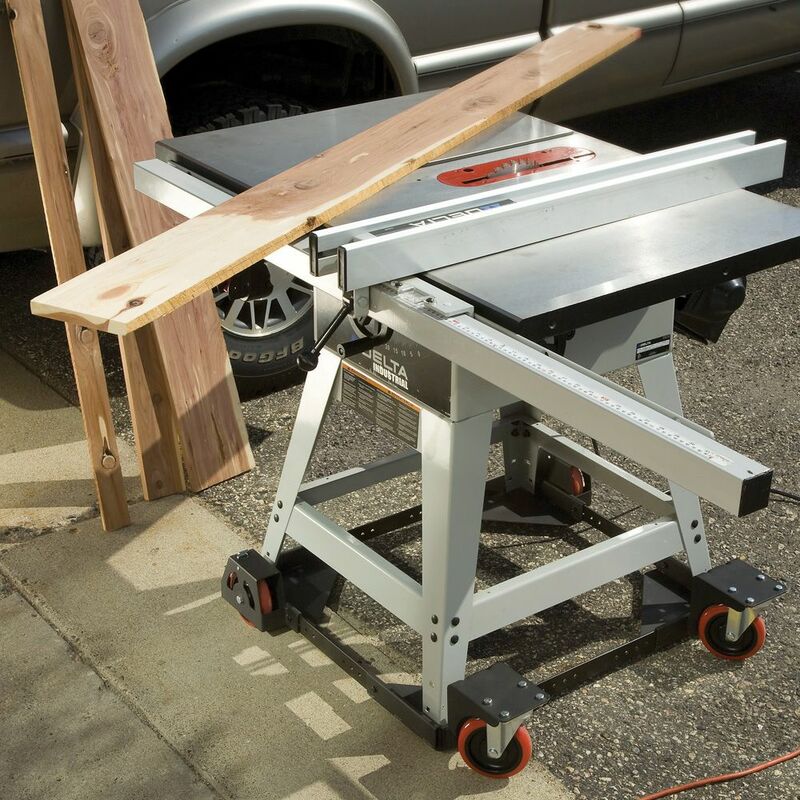 BEST ANSWER: I got the SawStop industrial base for my 3 hp SawStop with 36 inch extension table. 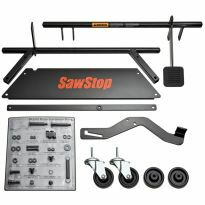 I found the SawStop industrial base to be far superior to the SawStop commercial base (both for ease of use and for maneuvering in tight spaces). Having spent what I did for the 3 hp Commercial SawStop table saw, I wouldn't even consider a Rockler base for my SawStop. 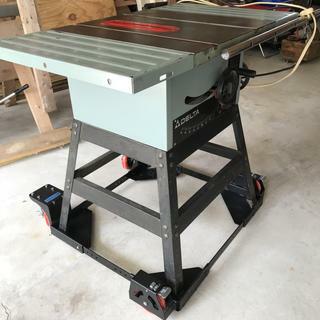 I wanted the best base for the table saw. That being said, I have Rockler roller bases for some of my other woodworking equipment (including drill press, band saw, 15 inch planer and stationery belt sander), and I have found those Rockler bases to be very adequate for those pieces of equipment. 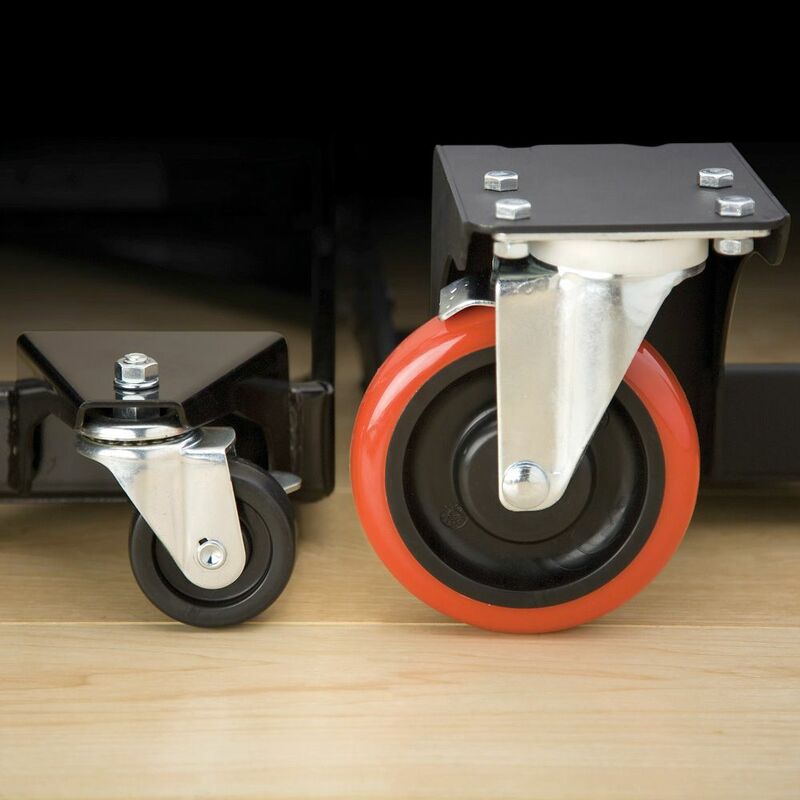 Do the swivel casters lock both swivel and roll? If they don't lock both ways, there will be tool movement. 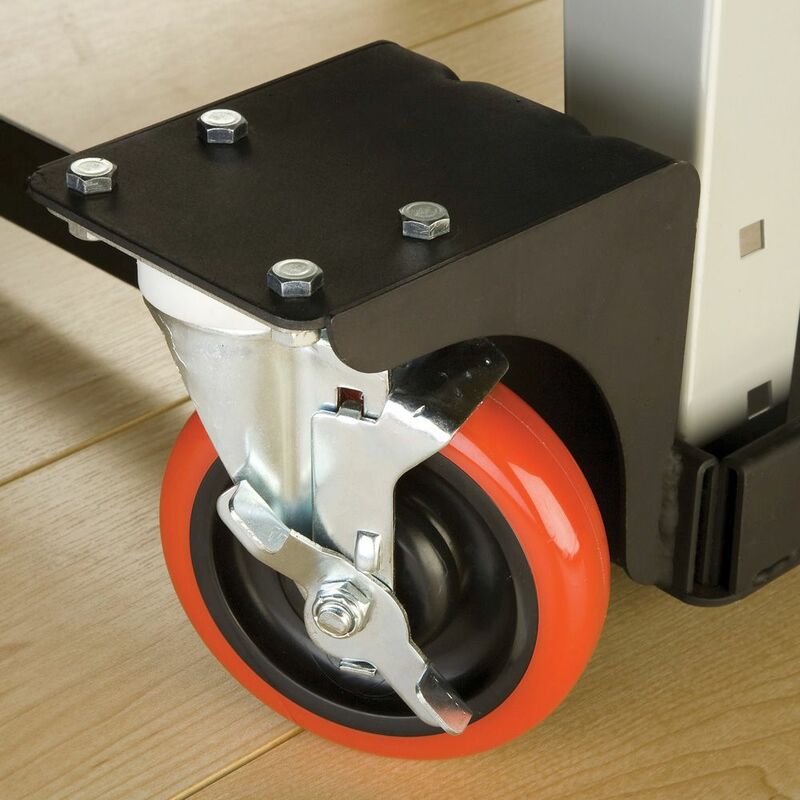 The swivel casters lock in roll only. I have a Sears contractor table saw with a router top attachment and have not experienced any movement when using it in my garage (concrete floor). I found this mobile base to be the best I ever had. All four of the casters have a locking mechanism. As along as all four casters are locked and the based is on relatively flat ground I have never had movement issues while cutting. All four wheels do lock, I never use the swivel wheel locks because the two stationary wheel locks keep my machines in place well. Have several, planer, Jointer, and drill press. The swivels don't lock at all, the other wheels do and there is no tool movement. This is a great mobile base. FRont casters do not swivel and are locked, great base. Anybody use one of the all terrain bases on a cabinet saw w a 50" fence? What do you do about the extension table's legs? BEST ANSWER: I used it on a 50" table saw. Use two people to lift on to it. If you have extension legs they should be high enough to move freely. Worked as advertised. I use the portable stand for my 15" delta planer that probably weighs in at 300lbs. and it works well. Of course, a concrete floor/wood floor in ur workshop would make it roll that much easier. The stand is expandable and it was worth the $$$$$. will this base adjust properly to fit a 4 in 1 woodmaster machine with a base size of 18 1/4 x 30 1/4 and weight of 500ibs.? BEST ANSWER: probably 5". worth the money. i have my delta dc-380 planer and it rolls nice - just have a smooth floor. 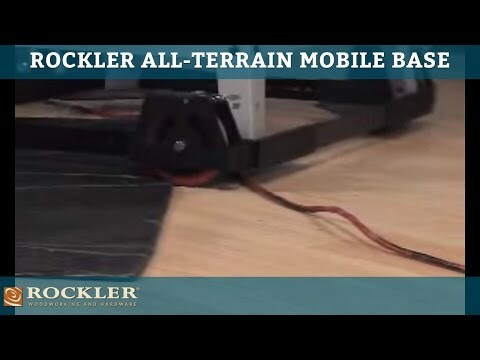 rocker has different portable bases for different weight machines. They are at least 4" In diameter, but I think they are 5". They roll better than any other wheels I have. Almost all my shop tools are on wheels and this set up is the best. 5 inch. I have a drill press mounted on mine.easy way to move that monster around.Even with the cracks in the floor,it is not a problem. The wheel diameter is 5 inches. My Bandsaw is 16 inches wide. It looks like the corners have a metal triangular plate. Would someone please measure or let me know if the configuration would accommodate that 16 inch width? Thank you in advance for your kindness and response! The base of my bandsaw is 19" x 25" and there is not problem. I have all my heavy equipment on the these bases and they move very easily. You may have to by longer extension rods for larger equipment. The triangle corner pieces are large and strong enough to hold the weight, with no problem. For heavy equipment, I used a jack to lift up one side and slide one side of the cart under that side. Then did the other side and assemble the unit under the machine. The base has a minimal width of 18 lunches. So there’s no problem with it fitting, I would recommend faxing it to the base because of fact drill presses are a little bit top heavy. Have the quality issue with stretchers fitting into the corner recesses been addressed? The stretchers fit perfectly. I purchase 12 foot lengths of metal and cut to size for tools like my lathe. Are the casters ball bearing? BEST ANSWER: Yes also my jet band saw moves with no effort what so ever. what are the overall outside dimensions of the base? (Maximum width and depth including wheels) I have a tight area for storage and small doors. Has anyone used this base for the SawStop Contractor Saw 36"? Curious if base will accommodate the extension table that is attached to saw. I need a Router jig for diamond shape pool table markers. Anyone have one? Do the swivel wheels lock? BEST ANSWER: Yes, the swivel wheels lock. All 4 will lock but I find only the rear 2 wheel are necessary when using. I have the same planer as shown in the picture. It is very heavy but this base and large wheels allow me move it around the shop easily. 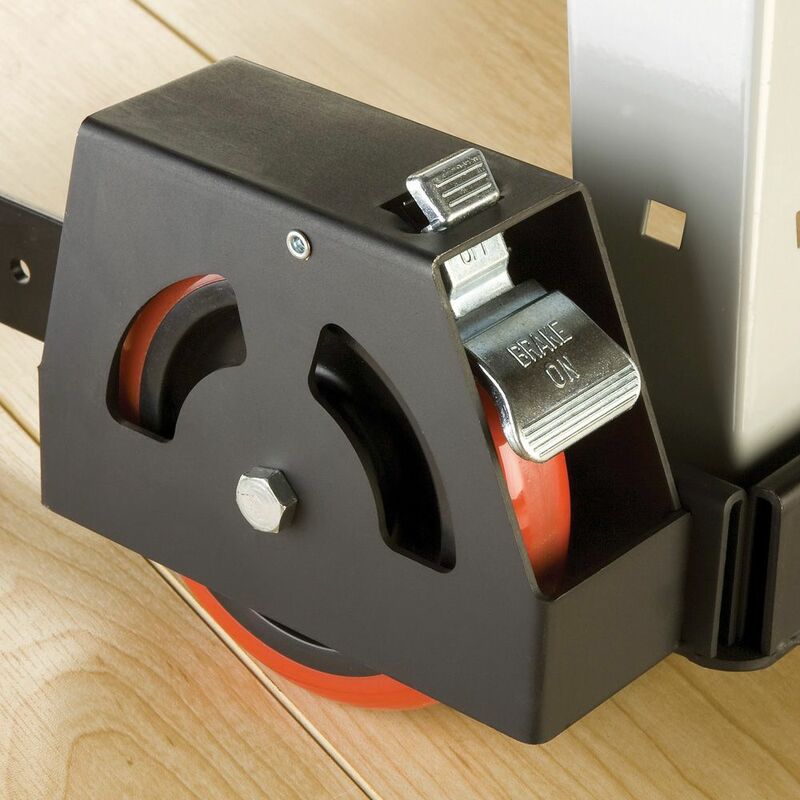 Large wheels will easily traverse cords and uneven floors. Well worth the buy! Would highly recommend. Swivel wheels have a weak rolling lock, but not a swivel lock. We position the fixed wheels towards the operator side of all our machines - the lock on these wheels is much better than on the swivels - usually all that is needed to keep machine from moving. Yes they do. Great base. I have a granite-topped table saw on it that weights over 600 lbs. It rolls well and is very steady with the wheels locked. Yes but the mechanism is a little tricky to engage and disengage. I have never used it for my table saw. 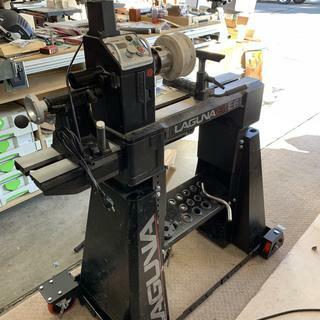 BEST ANSWER: I have this base for my Laguna 14bx bandsaw, and it sits on the corner platforms which are down below the wheels. I keep my bandsaw up against the wall of the garage and wheel it out every time I use it. It is very stable. I got this base instead of the 3 wheel model that Laguna sells because of the stability. Awesome thanks! I tried the plywood method on another adjustable base and the bolts I used keep the feet from sitting directly on the plywood causing it to rock a bit. Thanks! The base adjusts to the size you need. It has a large triangle of steel welded into the four corners. Used like this it is a very stable platform. It can be sized to just accommodate the base of the tool or in can be assembled in a larger size. 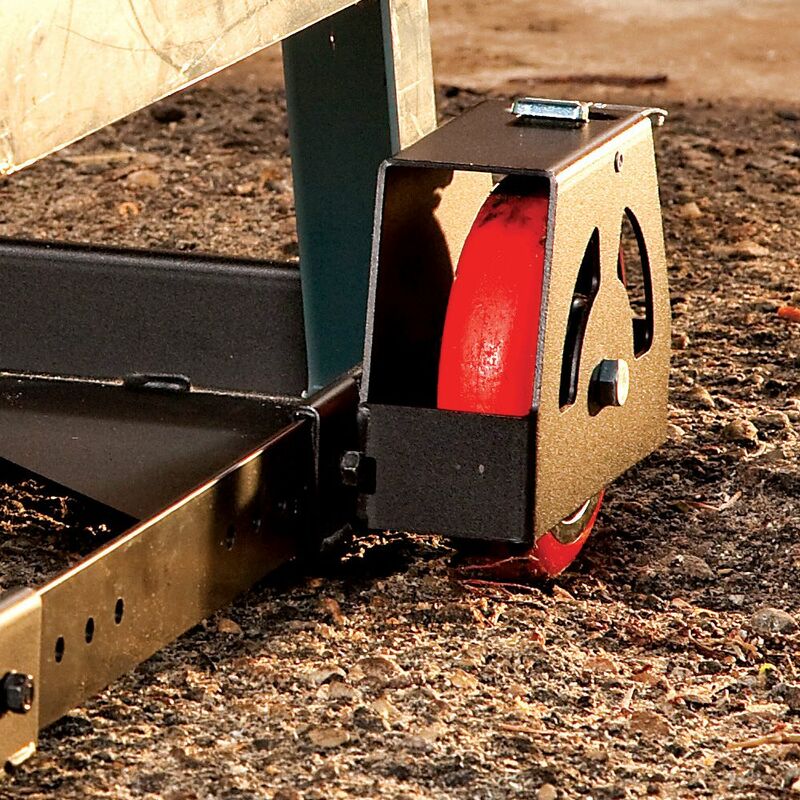 If you were to want to increase the footprint to increase stability you can add a plywood bottom plate to the mobile base and bolt your tool to the plywood. I did that with my drill press. The drill press base is a nice dimension front to back but quite thin side to side so i just set the base square and use 3/4" ply to mount the press after attaching the ply to the mobile base. These bases are the best! I have two of them. It doesn't attach. The base of the tool sits in a shallow that. 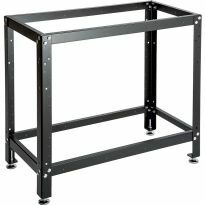 Can this base be extended to 23.5" X 64"? BEST ANSWER: Yes and no, you would need to buy steel bars from a metal supply to increase the length between the long pockets at each corner. The bars are about 1/8 t, and 1 1/4 w. Mabe for the long side buy angle stock for stiffness. Yes the corner brackets should work. So buy one and open it and see if you can get the steel. Or get a full table saw wheel kit like HTC. Pretty sure the answer is no. You can order multiple sets of extensions, but even with two of the longer sets they say the max extension is 50". I extended mine to over 5' by welding 1" angle iron to the existing spreader bars. How wide are the wheels? BEST ANSWER: 1 1/2 " wide wheels, I own six of the all terrain bases. I have a small shop so I roll all of my machines around a lot. Best mobile base around. They are radiused and not flat. But about 1" wide. What is the exact measurement of how high the base raises the tool? BEST ANSWER: I measured the distance from the floor to the top of a corner where the legs rest when placed on the Mobile Base. This distance varied from 7/8 to 1 inch. I first used the All-Terrain Mobile Base on a older table saw that had a wheel on each leg. This setup did not work at all. After I purchased the Mobile Base and put the table saw on it, I was hooked. Since then I have purchased additional Mobile Bases and placed other equipment on them. I have a small shop area and this makes it possible to use various pieces of equipment and then move the equipment against the wall.There it waits for the next time that i need to use it. I have 8 of these installed on various machines - increased height ranges from 1+1/16" to 1+1/8". Does the 800 pound rating drop with the addition of extensions to accommodate equipment with bigger base dimensions?Thinking about this for my heavy Powermatic 20” planer. BEST ANSWER: I have one of these under my Jet joiner/Planer combo machine. 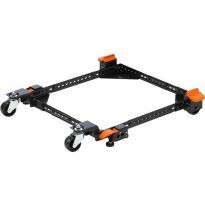 Works great and when all of the wheels are locked it is very stable for use. The weight limit is based on the casters load rating. moving them in or out doesn't change the static load on each of the casters. 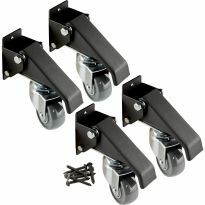 As long as you are at or below the total weight I think you will be very happy with this heavy duty caster set. Hardest part you will have is lifting your machine onto the frame. 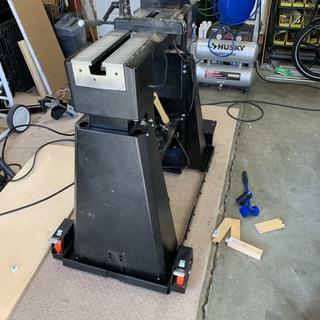 One last comment, I added heavy duty rubber pads between my machines feet and the support brackets to eliminate the possibility of the machine sliding around in the frame during operation. How much does the mobile base weigh? How big are the wheels? Small wheels do not move very well on my concrete floors. will this fit Jets JWBS-14DXPRO bandsaw? BEST ANSWER: Hey Mark, the base is adjustable in 2 directions and can adjust to many sizes. Im not sue about the size of the bandsaw, but from what I saw on google is should be able to fit. If not, a piece of 3/4" plywood can be placed down and the bandsaw can sit on that. I used this base for an older cabinet saw with a smaller size base, aand there is enough slack to make it smaller. the bandsaw says 29" x 28" ..... the mobile base says 28" x 28" ..... but is that accurate ? or is there some fudge room? I have a Delta Table Saw (Model 36-454) outfitted with a Delta Unifence and attached table (Model 36-906). I want to get a new base to replace the inefficient Delta base (Model 50-345). In addition, the base covers only the saw and not the extended Unifence table (Model 34-914). I know I can use your base for the saw. But how do I deal with the two legs that support the 32 inch table for the Unifence? would this fit a Craftsman table saw bot in 1983?